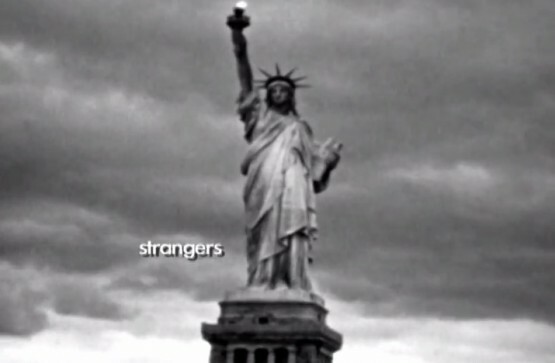 Strangers is the latest full length video from Nick vonWerssowetz, aka LurkNYC. It's exactly what you'd expect from a Lurk video, a legit crew, going hard on NYC spots to an incredible soundtrack of NYC hip hop. There's also a sick amount of wallies, one of the gnarliest gap-to-rails I've ever seen and a couple of obligatory NYC near death experiences. There was an unusual amount of tumblr beef surrounding the release about charging for it, charging too much for it, putting it up for free and various other anon crying. Despite it, it's a insanely good watch and shout out to Nick for constantly facing the haters and not shying away from it at all. Check out the full video below and because you get to watch it for free, go buy some merch and show some support on tumblr while you're at it.